Even if it's currently cold concrete and crammed with boxes, the lowest floor of your home probably has loads of potential. But there are so many choices and expenses! Here are some suggestions and ideas that will help you turn the basement into just the space you might need for your home. Before you start- Get your mold and moisture problems under control. Before you can start finishing the basement, you'll need to make sure that you don't have uncontrollable mold and moisture problems. Ensure that you can stop water from getting in and causing mold to grow in your basement. If there is existing mold, have it professionally removed before starting the project. 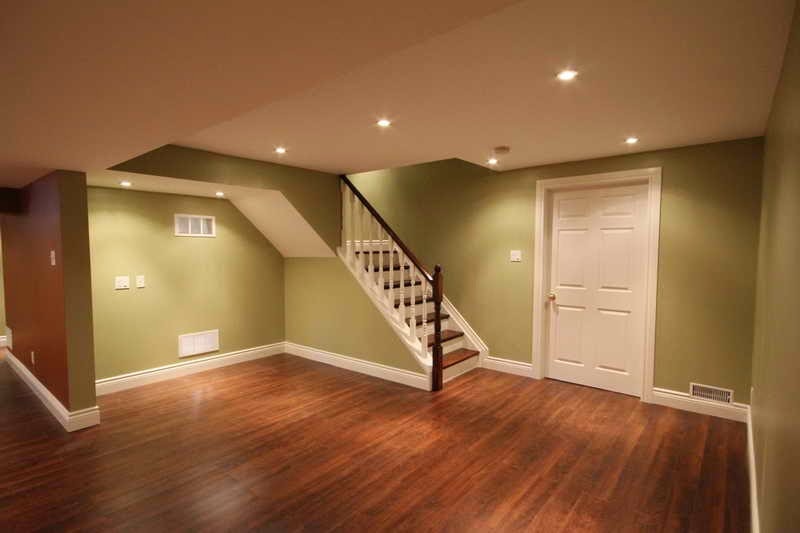 Compensate for limited lighting- Natural lighting will definitely be limited, if available at all, in your basement. Fortunately, dropped or suspended ceilings can easily and attractively accommodate recessed can, track, and troffer fixtures. Indirect light from sconces, recessed spotlights, or LED wall washers hidden behind coves. By lighting the walls, you can simulate natural ambient light and make the space seem bigger. Dealing with ducts and beams- Painting ductwork and beams is a common, cost effective approach to accommodating them. Another solution is boxing them in with soffits or wood-framed enclosures covered with drywall. Whatever your answer to this problem, be sure your plans conform to local building codes before starting work. Leave space for mechanicals- Whether you're moving equipment or boxing it in, make sure to leave enough space (about 2-3 feet) for a real human being to be able to fit around it for repairs. Add some warmth at the baseboards- Baseboard heating is an excellent choice for a basement. Normally the basement is the coolest room in the house, so choose a heating method wisely.